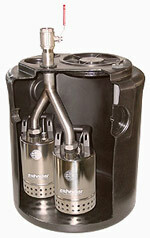 Activated carbon Filter – Hygienic, completely sealed unit shields unpleasant odours. 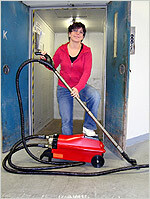 Stainless steel construction – robust and easy to clean. 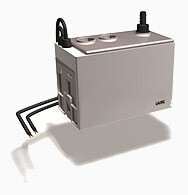 Purging port – hygienic integral dispense purging. Quick release hose connections - for ease of installation & maintenance. 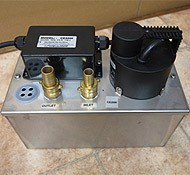 2m lead - Supplied with dedicated mains cable and 13amp plug. 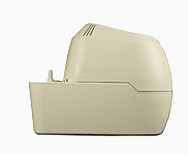 1 year warranty - direct manufacturer's backup. 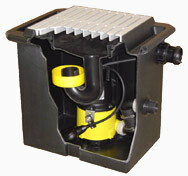 Sealed waterproof motor unit – protection from water splashes. 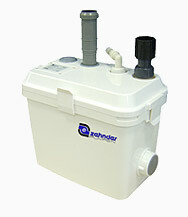 For basement waste water removal from washing machines etc.